Armor Paving Is A BBB A+ Rated Concrete Contractor In Columbus, Ohio! Make Armor Paving your first choice when it comes to concrete. 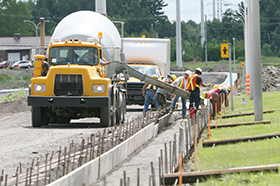 Armor Paving offers comprehensive concrete service to clients through the Columbus, Ohio, area. We offer premium concrete construction services and use only the highest quality of concrete for all of our concrete projects. 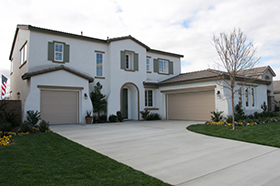 You can add curb appeal to your business or residence with the beauty of concrete. You have the options of fully functional and aesthetically pleasing concrete exterior flooring, outdoor living space and commercial interior or exterior concrete. Our experienced concrete contractor will help with any job. No job is too big or too small! If you own a business or commercial property, you should only trust your concrete to an experienced professional. Armor Paving in the Columbus, Ohio, area is the top choice for commercial and residential concrete work. Some of the concrete projects we have done include parking lots, storage building floors, machine sheds and much more. Your satisfaction is guaranteed. Our highly trained concrete contractors can handle all of your concrete needs. We will clean up after every job and will complete all work in a timely manner. Some of our concrete options are listed below. Armor Paving is fully insured, and committed to 100 percent customer satisfaction.